An extra special birthday deserves a special cake. 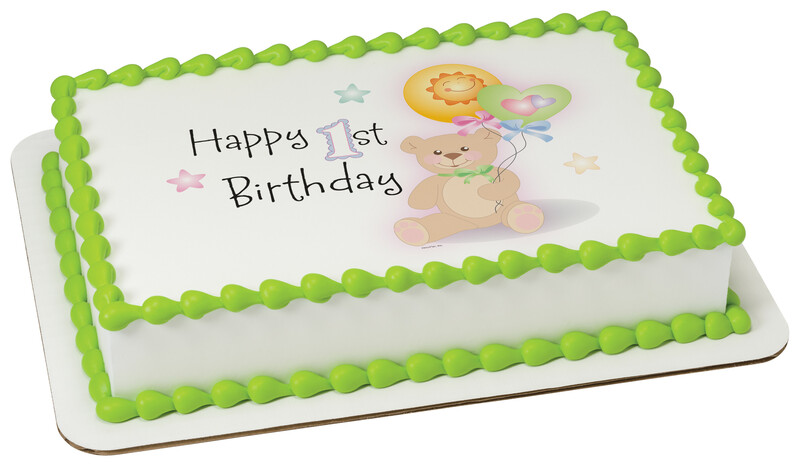 This cake design, tailor made for 1st birthdays, features an inviting bear holding two colorful balloons. This versatile design will surely make them smile! Order and personalize your cake today.